Our ragtag bunch of adventurers students are sitting in detention, presided over by a Doombot. They're quite worried that they won't get out in time to sign up for the Final Exam. 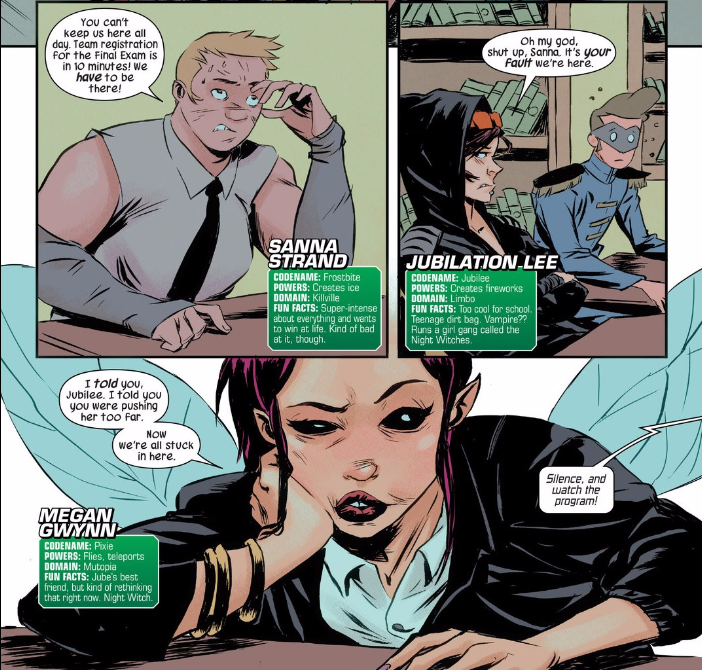 We flash back to earlier that day, where Sanna and Jubilee were sparring in class. Jubilee uses her power against Sanna, which was against the rules, and wins the match. The holo-teacher says she "didn't see anything." Molly comes running up, wearing a makeshift Night Witches jacket. They manage to break out in time when Amadeus hacks the Doombot into letting them leave early. This is insane and charming in a weird way. Though I have a really hard time with the way Cloak and Dagger are reversed. They look like they still have their original power sets. Though I did read #2 and now I'm wondering if they're blood or adopted siblings. I honestly can't tell. It's not such a stretch. They weren't supposed to be a couple anyway. The people that tried to make that happen didn't understand the characters and were catering stock to stock. I hope it turns out their siblings by pact. It would be the truest expression of their bond, which is the result of where they come from. Uh, I remember reading the old comics, Tyrone at least definitely was romantically interested in Tandy. In Ultimates at any rate, they did make them a couple. Ultimates also made Wanda and Pietro a couple. So them being siblings is no excuse here, either. Yeah that in the old comics Tyrone was definitely interested in Tandy, that's true. The UST in the old comics was the source of far too much melodrama as well. That's not the impression I got reading it. I remember them wanting to take care of each other, because they were kind of family by survival, what they'd endured together, and them specifically saying they weren't a couple, in a way that implied they were annoyed at the assumption. Repeatedly. And I'd say rightly. I do remember when it got all Dawson's Creek, and I don't remember who was writing it at the time, but I rolled my eyes with them. At the time, admittedly, because I was 9, but looking back on it now, I still do. That said, I'm probably not who Disney writes for. Well, Tyrone is normally the teleporter, and Tandy normally has the projectile powers. But it is odd that Tyrone is in a hoodie here. This feels like a high school AU fanfic that someone had lurking on their harddrive. Not sure how I feel about this. Glad someone else thought of that too. (which does sound like something Jubilee WOULD do). Childhood violence? Check. Toybox disregard for anything that exists or even makes sense about the characters? Check. Must be Marvel. They're not the original characters, why are you so bothered? 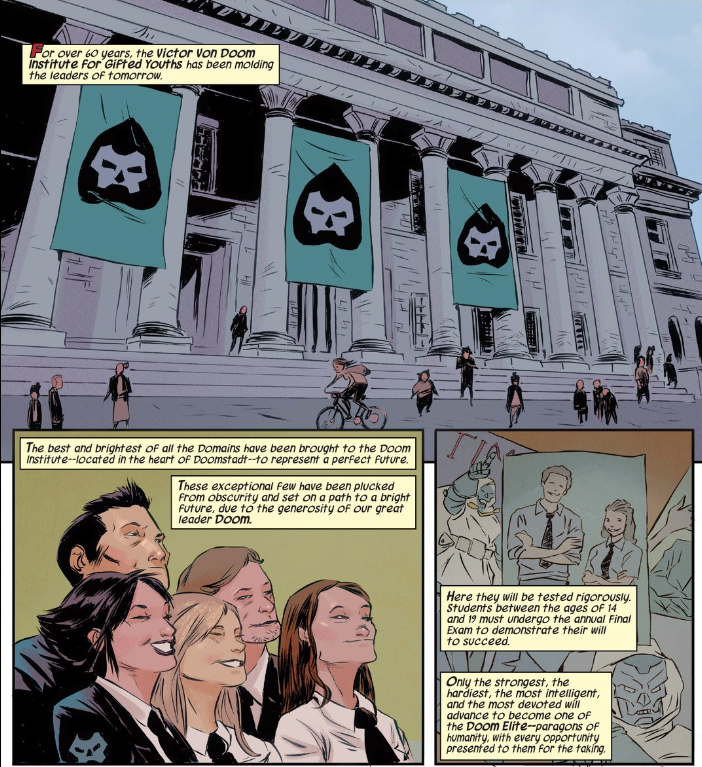 The whole premise of Secret Wars is cut loose with AUs. And this 'violence' is weak sauce compared to stuff we already have like Battle Royale and real-life. This is post Marvel Now. Even before Secret Wars they weren't the original characters. It's no big deal, it just gets to me. Kinda hard really. I suppose this is this "trigger" thing I keep hearing about. 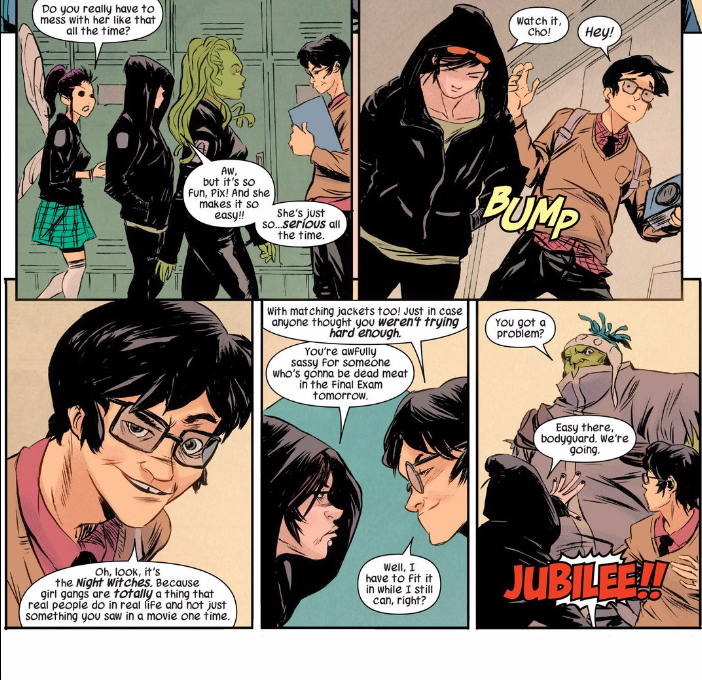 Doesn't the fact that Jubilee and Pixie could compare their Cyclopses for example kind of clash with the 'nothing to see here' vibe of Battleworld or has stuff about double charactering e.g. Storm and ThorStorm been addressed in a book I haven't read? 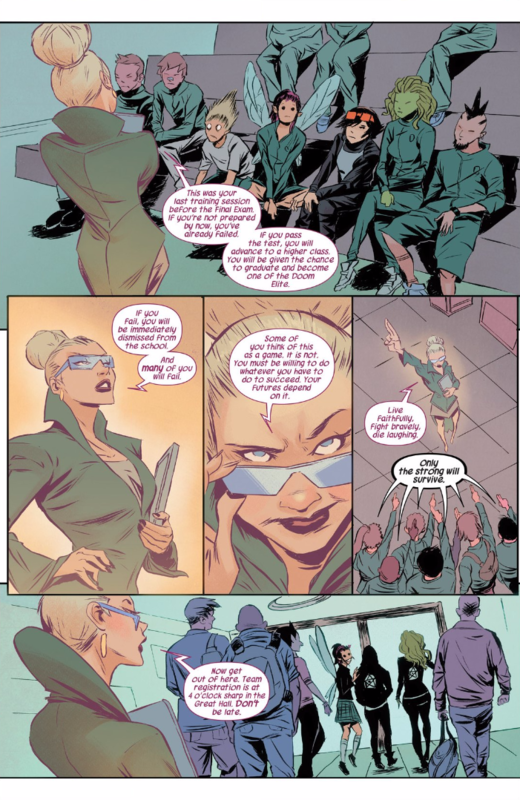 Mutopia's divergence point from the regular continuity was during Morrison's run. Limbo's divergence point was during the Inferno crossover, which Google tells me is literally right before her first appearance. In other words, it's quite likely these versions were never members of the X-Men. From what I've gleaned, everyone is fully aware about multiple versions of different 'stock characters' across the Battleworlds. You have people looking specifically for a 'Pym' for example, or describing someone as being 'that' sort of character that they are. In Thors, the serial killer is specifically targeting one character across multiple domains (which is a pretty cool premise). Plus some just went more extreme. 'Hulk' describes effectively an entire race in the Greenland domain. Some situations are the exception though. For example in Ultimate End, both the 616ers and the Ultimate versions are really freaking out over existing in the same area. But it looks like it's because their domains have melded 'unnaturally' for a Battleworld, but I can't tell who the actual physical domain originally belongs to, 616 or Ultimates. Not everyone seems aware. Over in OLD MAN LOGAN, he meets the Age of Apocalypse characters, and both sides are very surprised to learn that multiple versions of him and the other X-Men exist across domains. And the preview for MIGHTY DEFENDERS makes it seem like the characters in that don't know either. The idea seems to be that communication and travel between borders is so strict that most people have no idea, but the few who can and do travel (barons, resistance members, Thors, etc.) are fully aware. 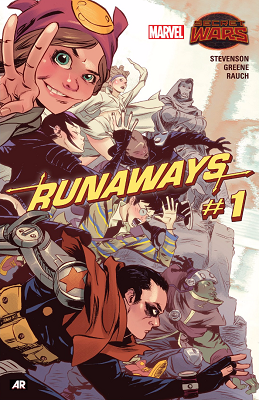 Yeah, in this RUNAWAYS domain they are meant to be the 'elite' students, so stands to reason they all apparently know way more about how the Battleworld works. There's also the Killisuem thing that Arcade runs. 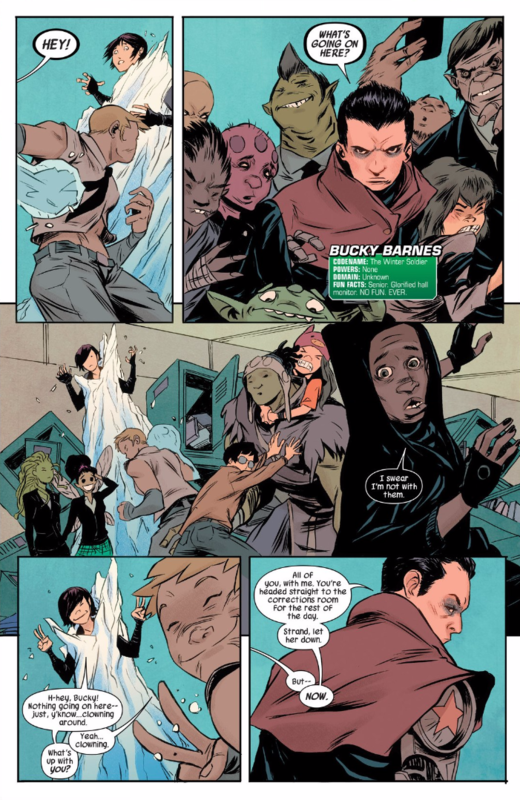 Looks like they deposit multiple versions of various people there since I think Ross mention he recognizes that Steve as a 'Steve Rogers', and there was a tribe of Wolverines as opponents at one point. In short... this is a really cool setting. That's how it seems to me too. More advanced, less hellscape, closer to the capital? Knows the deal. Out in the boonies? Closer to the SHIELD? Or just not of relevance? Doesn't know about Battleworld's superstructure. 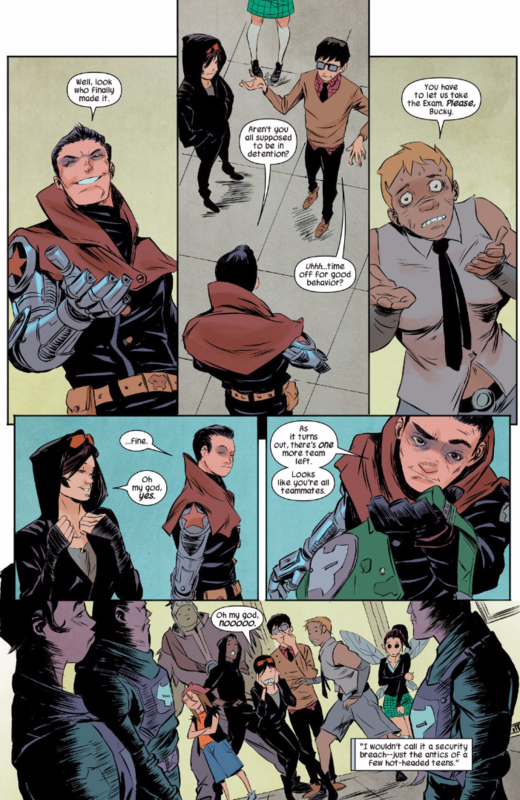 I do wish that someone would get the memo Vaughan explicitly laid down in the second volume of Runaways that Molly is not the goofy eleven year old she appears to be. I mean, I know that might be difficult to pick up here in a limited story, but seriously, every writer since has conveniently forgotten the fact that young!Geoffrey Wilder totally called her out on her act. The beauty of Molly being a master manipulator behind the scenes is that it's behind the scenes. We see her acting goofy because that how she acts most of the time. Bucky isn't a teen character in the movies, but..
...Did they miss his whole short-pants Young Allies origins? So Jubilee is both vampire and has her firework powers here. Is that general canon these days? I was reading the X-men with the all female line up (adjectiveless?) and noticed she looked like she was sparking in a couple of scenes, but she never really let loose so I wasn't sure if it was on purpose or not. That second to last panel had me laughing at Bucky's evil, evil genius. 1) Who was the grey girl with the tusk between Cho and Gorgon? 2) Anyone else dig Skaar's cool hat?